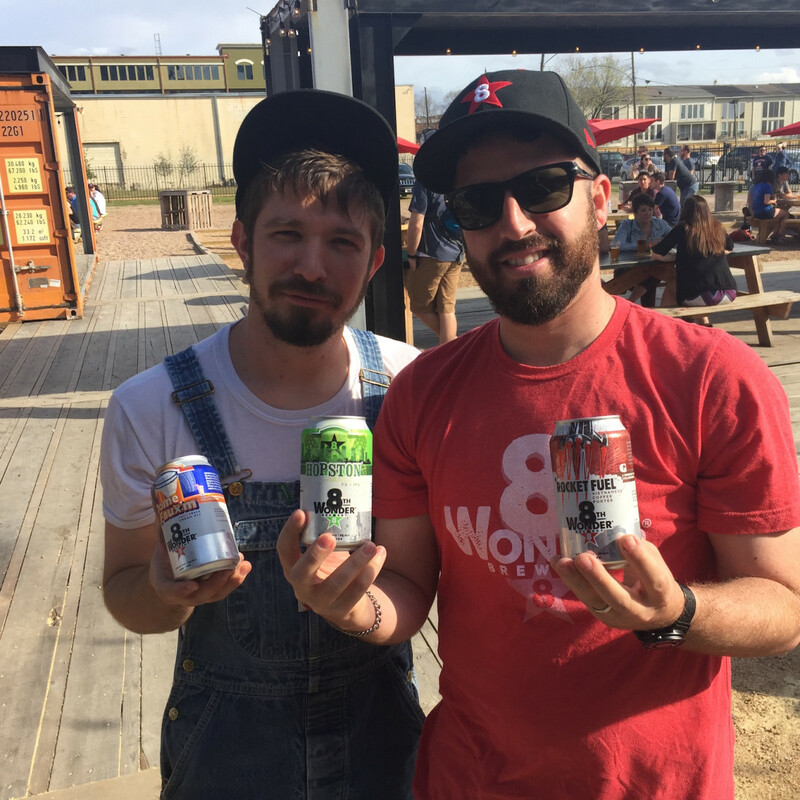 As it prepares to celebrate three years of operations with a blowout "Celebr8tion" on Saturday, 8th Wonder Brewery has a new way for Houstonians to enjoy its Houston-themed, easy-drinking brews. 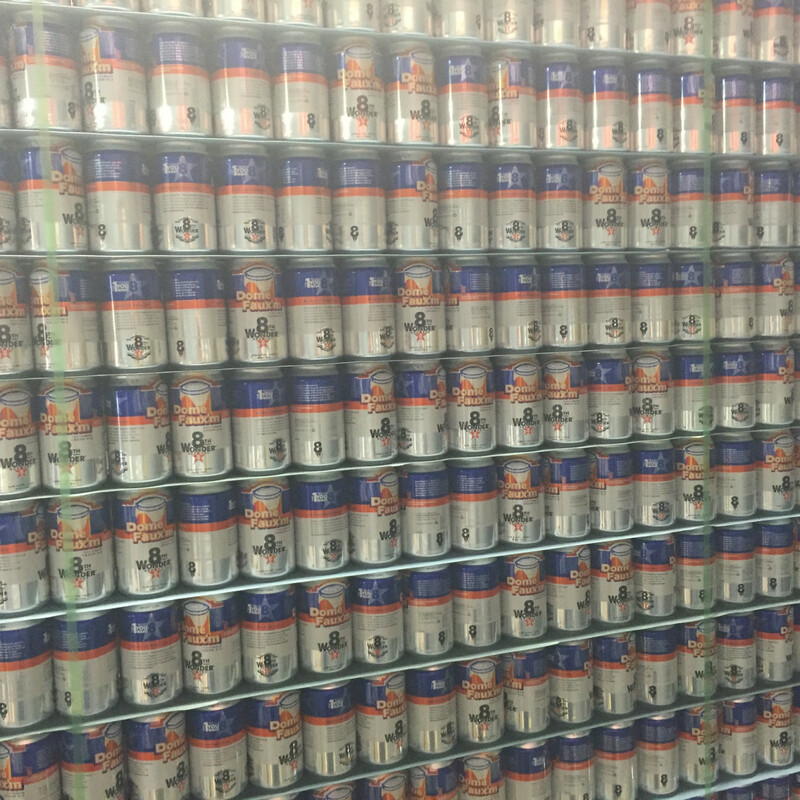 Beginning Monday, drinkers will be able to find 8th Wonder in cans. 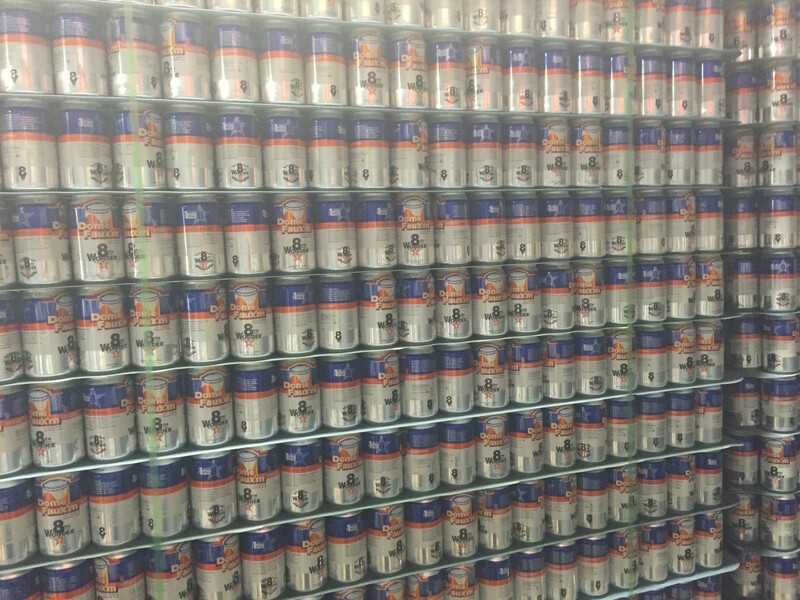 "We wish we would have canned three years ago, but a canning line isn’t cheap," co-owner Ryan Soroka tells CultureMap. "The biggest enemies of beer are light and oxygen. A keg is the most efficient form of packaging, which we’ve been doing for three years — 100-percent keg only. 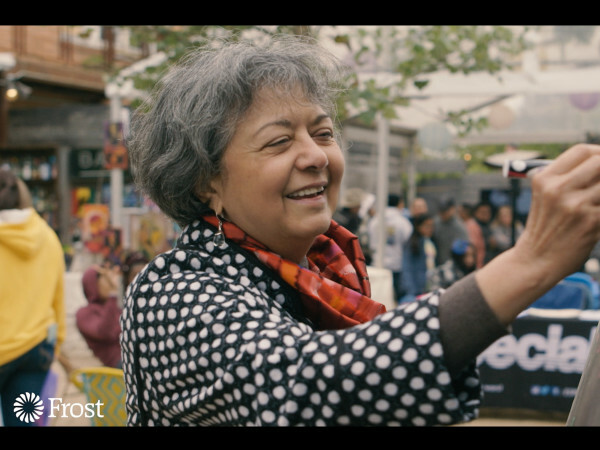 A can is a mini-keg, and we finally have the ability to can our beer." 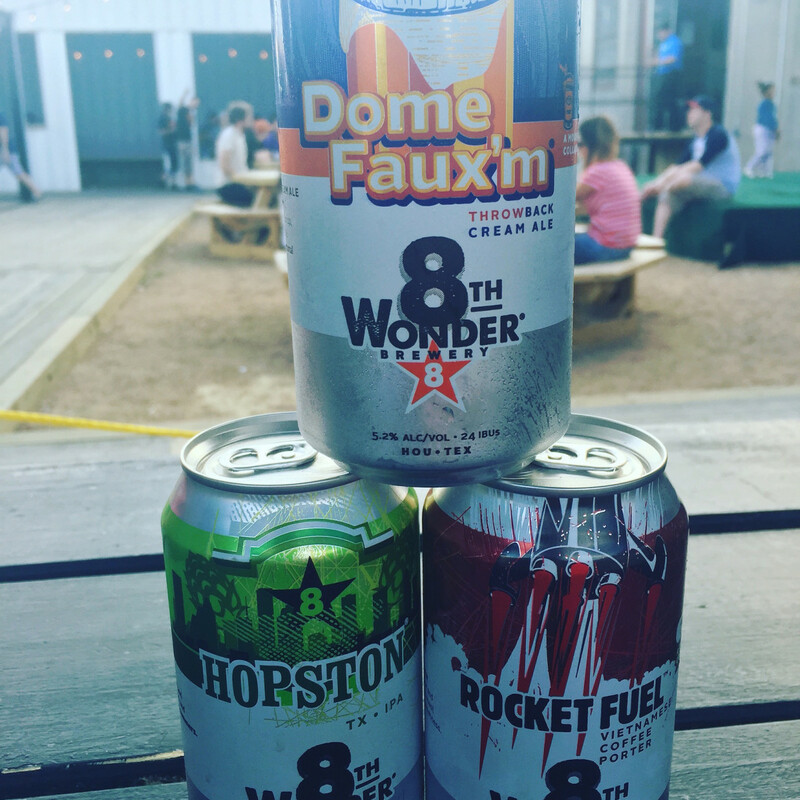 Three of 8th Wonder's beers are available in can at launch: Dome Faux'm, a "throwback cream ale;" Hopston, a Texas IPA; and Rocket Fuel, a Vietnamese coffee porter. Hopston and Dome Faux'm are available in 6-packs, while Rocket Fuel comes in 4-packs. Initial distribution is to H-E-B, Spec's, Randalls, and Kroger stores across the city. Prices will vary by retailers, but it should be well under $10. 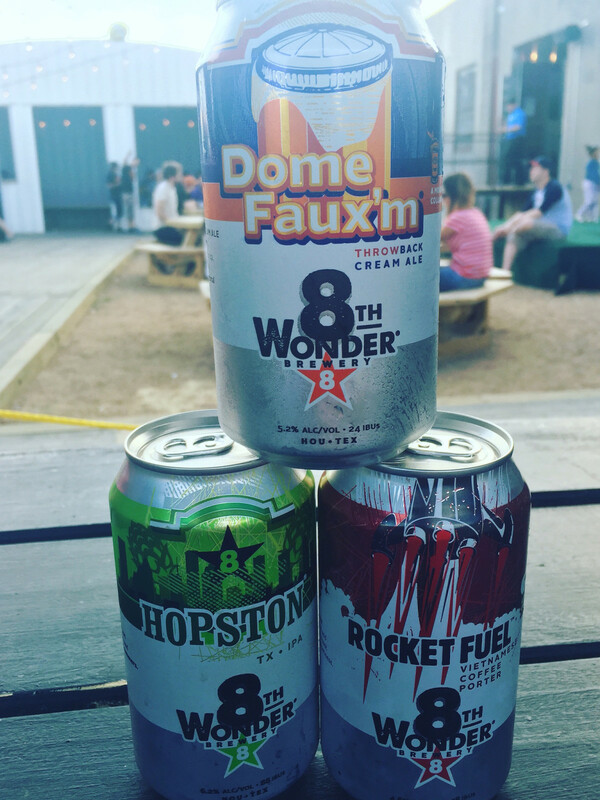 "Basically, Dome Faux’m and Rocket Fuel are our two flagships, and you’ve got to have something for the hopheads, so Hopston is available as well," Soroka says. 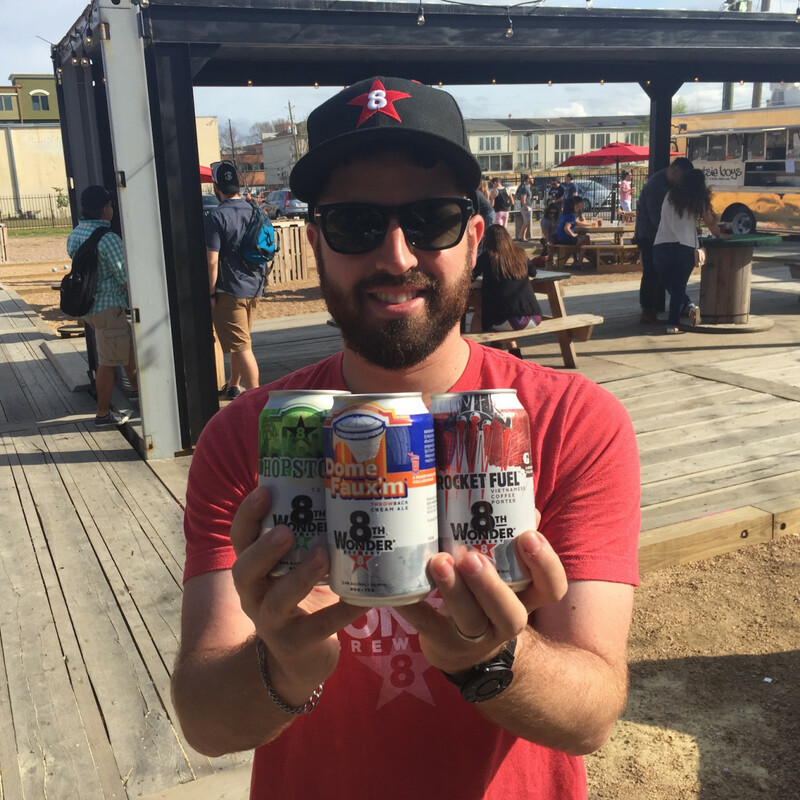 The introduction of cans comes at a time of rapid expansion for the EaDo brewery. 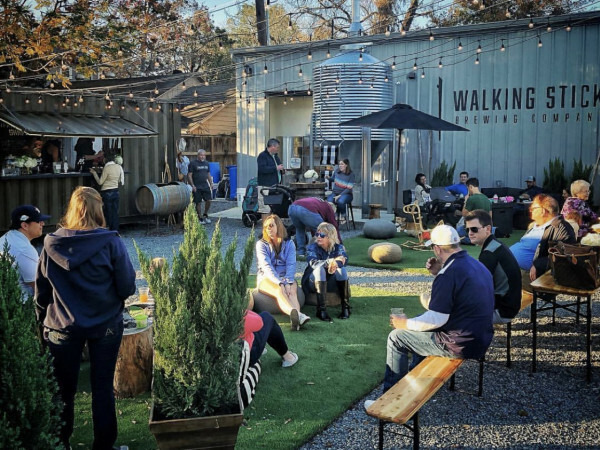 Over the last year, 8th Wonder has expanded from its initial 5,000-square feet to take over an entire 15,000-square foot warehouse and transformed its one acre backyard into the "WonderWorld" beer garden. Open every day, the taproom serves 8th Wonder's full lineup and with food from a revitalized Eatsie Boys food truck. Once again under the direction of truck manager Miles White, the new Eatsie Boys menu has been designed around dishes that complement 8th Wonder's beers. 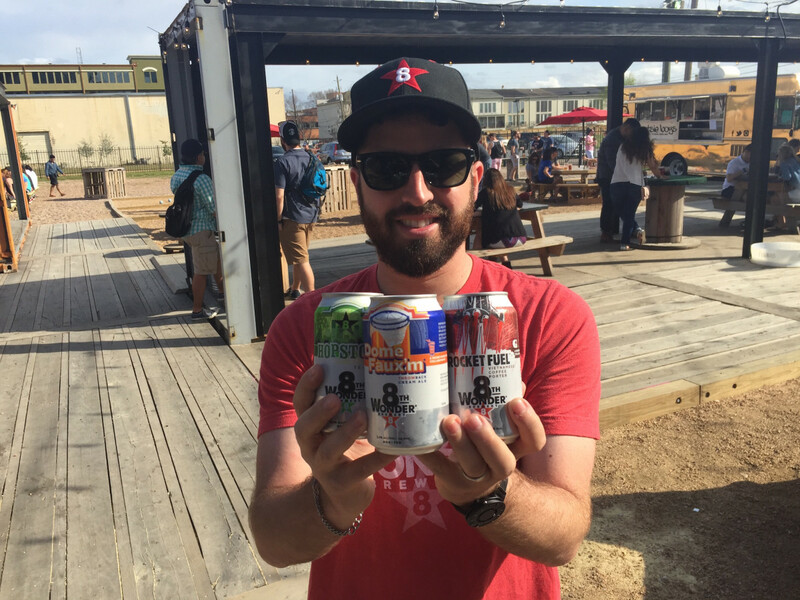 Houston's beer scene has exploded in the last few years, and new breweries are opening all the time. 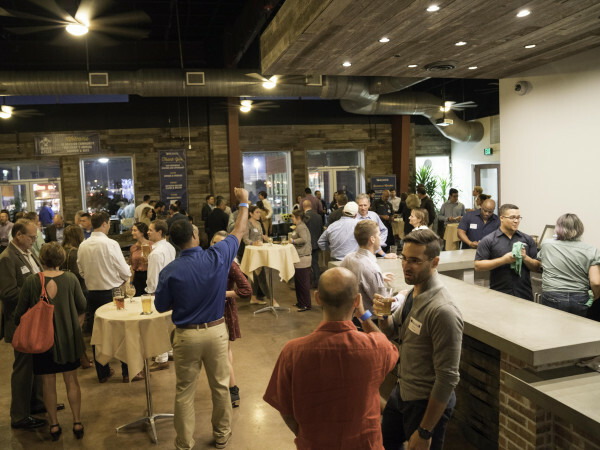 Soroka describes it as "friendly competition" among the local brewers for consumers' dollars, but 8th Wonder definitely has a plan to continue to grow in the marketplace. That starts with the beer, of course, and soon it will release Haterade, a German-style gose brewed with coriander and sea salt. 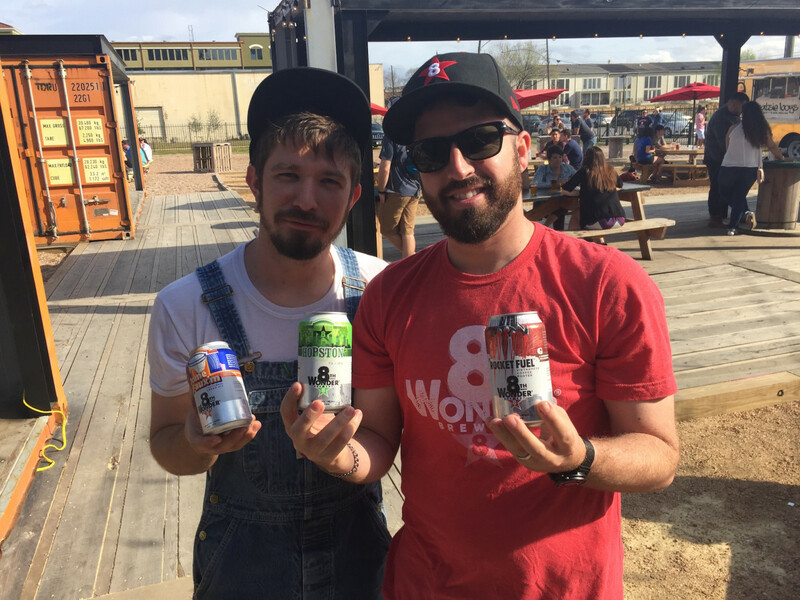 8th Wonder has also followed the lead of Saint Arnold and others by using events to wins fans. "We’re big believers that communities were formed around breweries and breweries are formed around communities. It’s been happening for centuries, and we’re doing a modern Houston take on it," Soroka says. The next of those events happens Saturday, when 8th Wonder holds its third anniversary "Celebr8tion" featuring performances by Black Joe Lewis, The Hot 8 Brass Band, Fat Tony, and Say Girl Say. Tickets start at $30 for general admission or $125 for a VIP that includes "all the beer you can responsibly drink" as well as unlimited food and access to special releases.